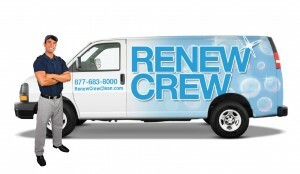 Renew Crew is proud to be North America’s most trusted choice for exterior surface cleaning and protecting. We are the leading national brand with a proprietary environmentally friendly 3-step process that works wonders. We call it Renew Crew Clean™. You’ll call it the path to achieve your personal and business goals. It all started in 1993 in Springfield, Missouri by Stan Krempges, owner of a fence installation company. Stan was on a mission to help his customers find a better way to clean and protect their exterior home surfaces. After extensive research, he developed an environmentally safe foam cleaner specifically for exterior wood. In 2012, Stan had the opportunity to diversify the Wood Re New business by adding a line of proprietary solutions to clean and protect additional exterior surfaces, such as, siding, patios, driveways, and sidewalks. Renew Crew is a unique, low-cost investment business opportunity that is great for individuals who would like to start their first business or an existing business owner who is considering expanding. Our high-margin, recurring revenue business model will enable you to build a business to reach your career, lifestyle, and financial goals. The low initial financial investment is even more appealing when combined with the relatively quick start-up period involved. In most cases, you can hit the ground running within 30 days, helping Renew Crew operators reach their goals quickly. Access to Proprietary environmentally safe products to kill mold and mildew off exterior surfaces, and special polymers that seal and protect them against grime and other elements. 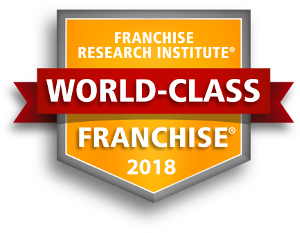 Because Renew Crew (while successfully operating its unique contract-driven, professional approach to this category for approximately 20 years) has only recently packaged this opportunity as a franchise, there are still many protected territories available. We are looking for high-integrity individuals with genuine, outgoing personalities and strong social, sales and networking skills, as well as a strong social consciousness. "They want you to succeed by giving you the tools to do so!" "Good people, extremely caring and helpful." To obtain your FREE report about Renew Crew, please fill out the form here.